Police are hunting vandals who smashed the windows in a broken down car "just to amuse themselves." The car had a flat tyre and the motorist left it along the Hillhead Road, Toome, planning to to return. However late last night the someone decided to smash every single window in the car. "It doesn't look like they wanted the car or even anything inside...just to amuse themselves!" the PSNI said in a social media post. 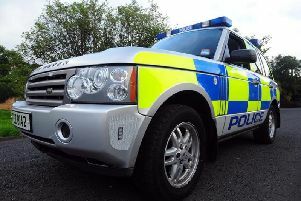 Police would like to hear from motorists travelling on the Hillhead Road towards Magherafelt last night and saw the vehicle and anything suspicious around it. They can contact police on 101.